Let’s face it. 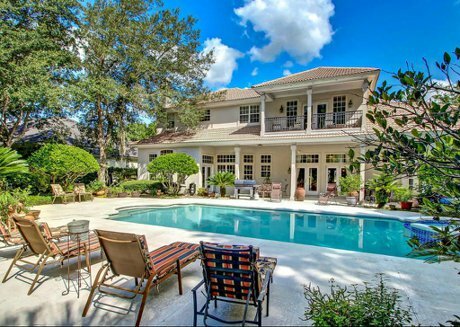 You can compare the typical Orlando home sale to the typical mugging. Only when you buy a home, the “muggers” are nicely dressed, smell better, and are smiling and shaking your hand instead of pointing a gun at you. of misinformation online is downright disturbing and there are plenty of agents out there that are only too happy to take your money if you are not savvy enough to ask the right questions and make the right choices. So, how do you know what to believe? Think of us as your real estate superheroes. We’ll protect you from the crooks and slick sales weasels. 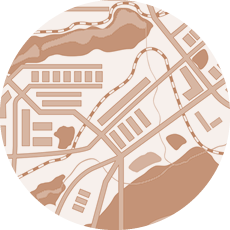 We’re here to help you navigate your way down the River of Realtor Rah-Rah and find your way around Bullshyt Mountain. Our destination: The Truth, and ultimately, the perfect home for you. Through three decades, we’ve gone to extraordinary lengths to ensure no one knows the local market like we do, and we don’t mind speaking the truth and sharing what we know. 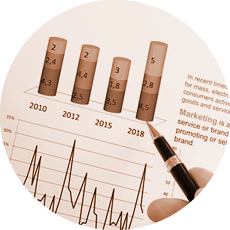 Our mission is to deliver the best in local knowledge to our clients through the use of superior technology, then help turn that information into insight to ensure you get the best deal possible. Buyerbroker.com is the absolute best tool to search for Orlando homes for sale. Unlike the big name search portals like Zillow and Trulia, it gives you direct access to the Orlando area Multiple Listing Service (MLS). 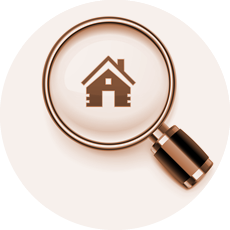 You’ll find all the available homes listed for sale, and the information is accurate, current, and real. More importantly, we’re easy to reach and quick to respond, just a text message, email, or phone call away for an honest and straight-forward perspective on any area, neighborhood, or individual property. It’s not a normal market, and we’re not your normal real estate agents. We’re a hard-listening, fast-moving, smart-thinking bunch and we’re stubbornly determined that our clients live in the best homes in the Orlando market and at prices that make sense. We’re small, independent, locally owned by a lifelong resident, and focused on providing our clients with strategic advantages in the market. What we know is not found in any office broker’s manual. Our combination of expert local knowledge, cutting edge systems, and independence from big corporate mentality allows you to receive elite service and achieve exceptional results. We have no salespeople, and we don’t sell anything. No name tags. No refrigerator magnets. No glamour shot photos. No nonsense. When you talk to us, you are talking to your confidential representative, focused on assisting you in maximizing your opportunities and furthering your best interests and yours only. NO EXCEPTIONS. PERIOD. Put most simply, it is harmony. Finding exactly the right house greatly enhances the flow of life, encouraging accomplishment and success in all facets. The wrong fit, hinders. Choosing your home is about more than open floor plans, closet space, and 3 car garages. It’s where your life plays out, where you pursue your passions, raise your kids, and take refuge from the outside world. The right home in the right place makes it all come together. You want to love where you live. That’s a goal we believe is worth striving for. Nobody else does what we do for our clients. Not even close. Beyond our stubborn determination to find you the home you've envisioned, we provide unexpectedly meticulous care, service you thought was extinct, a deep knowledge of the marketplace beyond the MLS, and an eye for detail you won't see from typical real estate brokers. Our industry is broken. It has been taken over by "mega agents" and "teams” fueled by a sales culture promoted by coaches, trainers, and so-called gurus. They measure their success in terms of the size of their "team", number of transaction sides, percentage of market share, and dollar sales volume. They even speak to you in pre-prepared scripts for every imaginable situation. 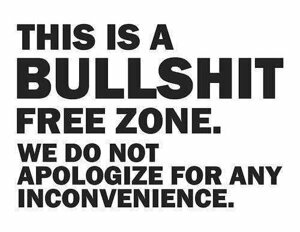 To us, that's just not good business practice, and we'll never take a watered-down approach to client service focused on transactions alone. At BluRiver, true success comes from helping people move easily and joyfully into the next chapter of their lives. Our consultative approach is sincere, and you'll never be guided toward something that isn't a good match just because it's convenient. The thoughtful attention we afford our clients lands them right where they want to be. The short answer: You'll save money and time, avoid headaches, and live in a better home. Click here to see how we do it. The Orlando area features a diverse array of towns and neighborhoods, where you can find everything from Rockwellian tree-shaded brick streets with traditional two-story homes to newer amenity-focused suburban gated communities. We help buyers find homes in all areas, but our primary focus is on Seminole County, which includes the cities of Lake Mary, Longwood, Oviedo, Winter Springs, Sanford, Altamonte Springs, and Casselberry as well as the rural communities of Geneva and Chuluota. 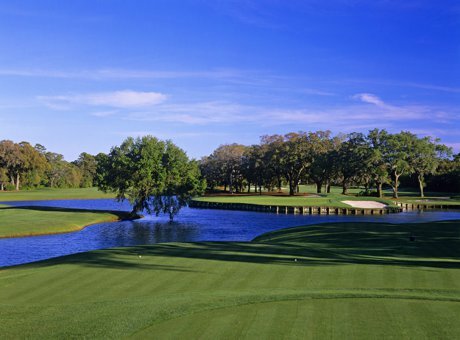 Just 15 minutes north of downtown Orlando and less than 45 minutes from the pristine beaches of the east coast, Seminole County is known for its natural lands, picturesque scenery, and relaxed environment geared toward quality living. Its superior school system, scenic rivers and lakes, lush greenery, and parks/trail system have long made Seminole the best choice for families in the Orlando area. In addition to Seminole County, we also cover Winter Park, Maitland, and Baldwin Park and Apopka in Orange County, Mount Dora and Sorrento in Lake County, and Debary and Deland in Volusia County. These are all home to the Orlando area's finest and most sought-after neighborhoods. When you buy a home, you buy a neighborhood. Neighborhoods matter. What you see from your front porch matters. Where your kids play matters. The distance from the nearest grocery store, the sounds from your back yard........it all matters. We understand the communities and neighborhoods that compose the north Orlando real estate market, and we can help you find the ideal one for you. 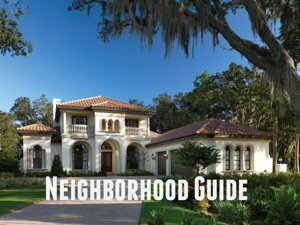 BluRiver broker Doug Packard has developed an online guide to the north Orlando area's most popular neighborhoods to help you find the perfect place for you. A 30-year real estate industry veteran, Doug gives his own personal insight on each neighborhood in the guide. In addition to general information and photos, you'll also find commute times, amenities, HOA dues, schools, recent sales data, and an easy link to all homes for sale in each individual neighborhood listed in the Orlando MLS. It's one thing to have an agent treat you fairly.......it is entirely another to have an elite professional to negotiate entirely on your behalf and to be fiercely protective of your best interests. Over 80% of our business comes from referrals and repeat business. There's a reason for that. We're about building relationships, not numbers. We want you to be so outrageously tickled with the help we provide that you just can't help but recommending us to your family, friends, and co-workers. Bottom Line: If you're not happy, then neither are we. Remington Park Ph 2 SubDv.